Homeowners who enjoy gardening often wish that they could extend their growing season. Some people are fortunate enough to have all season rooms attached to their homes that will provide for indoor growing. Not everyone has these solarium structures and gardeners are left pondering how they can get a jump start on their spring gardening season. Backyard potting sheds provide multiple solutions for gardeners. 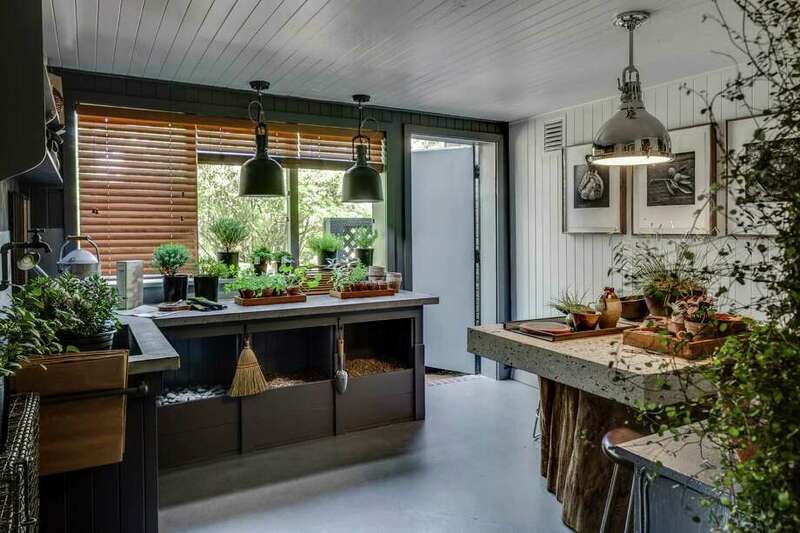 The potting shed can be completely customized to meet each gardener’s individual needs. Many potting sheds are built of clapboard, vinyl or wood. When it comes to customizing the options are nearly limitless. Gardeners can decide if they want a single door or barn door style doors. Choosing the correct type of door depends upon what will be stored in the potting shed. If only plants, pots, soil and other basic gardening needs will be housed in the potting shed then a single door will be fine. If a homeowner plans on using the potting shed for additional yard maintenance items such as a lawnmower, shovels, rakes and hoses then they may wish to opt for the convenience that a double door barn door style offers. Once gardeners decide upon the materials that will be used for building their backyard potting sheds, the size of the shed and the type of doors that will be used they will then need to decide on features of the structure. If a gardener wishes to use the shed to start their indoor growing or prolong plants in pots into the fall months they will need a potting shed that features sky lights and windows. The sky lights and windows will provide an ample amount of natural sunlight to filter through and nourish the plants. If a gardener wishes to use their potting shed as a year-round growing shed they will need to consider insulation and possibly electric to provide heating. This warmth combined with the natural light from the sky lights and windows will allow for some hearty winter plants to grow. Some of these plants include kale, broccoli and lettuces. Gardeners who require a larger shed for extended growing will want to have the plans professionally drawn out. These plans should include in depth window design. The optimal amount of sky lights could range from three to four. Shelving units and storage features will also need to be present to house dirt, potting soil, plant food, gardening tools, pots and other gardening needs. Shelving units can store delicate yard decor that might not weather so well outside during the winter months. A well-drawn up and thought out plan will provide the home owner with the best possible potting shed. Whatever type of potting shed a gardener builds is dependent upon what their individual needs are. It does not matter if it is a small shed that simply provides storage solutions for garden items or if it is a larger shed that prolongs the growing season. People who love gardening will all agree that no matter what size the shed may be, it will make their favorite pastime easier and more enjoyable.